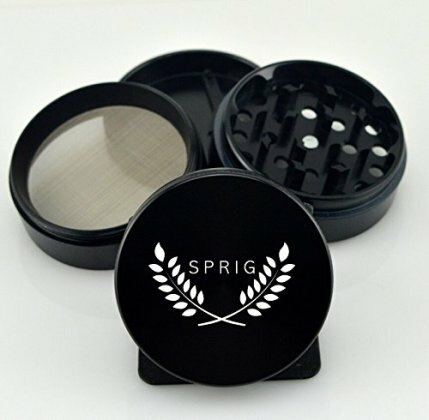 Sprig Sleek Premium Heavy Duty Herb, Spice, Tobacco Titanium Grinder. Engineered for the Smoothest Grind, Ergonomic Design for Easy Use & Innovative Long Lasting Blades for Greater Durability. 4 Piece 2.5" inch Grinder Mill With Free Non-stick Tool & Protective Case. 100% SATISFACTION GUARANTEED!